Too Much Sun. | | Quiet Lunch. 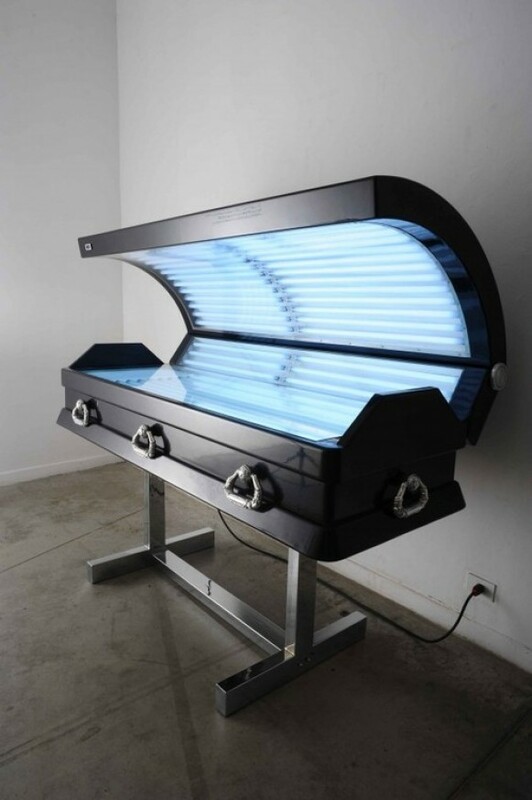 Although tanning is thought to be a beautifying procedure, a great deal of us believe that it’s the fast track to skin cancer. To-may-to, to-mah-to but when all the pronunciation is done someone is going to end up croaking from too many rays. Even Argentinian artist Luciano Podcaminsky agrees. 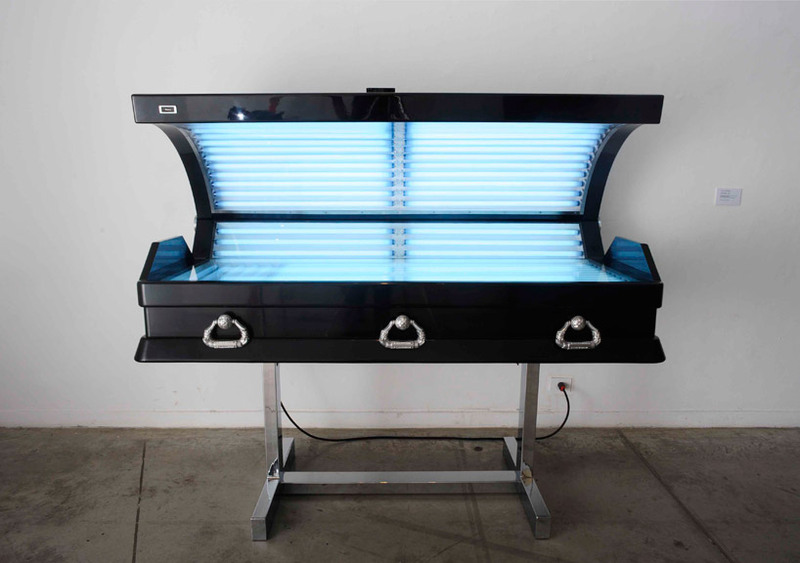 His work, titled “Sundead”, is a satirical look at a common practice that is the “T” in GTL. Made from felt, polyurethane coating, iron, and fluorecent lights, the installation went on exhibit earlier this year at Room 8 Centro Cultural Recoleta. Photo Courtesy of Thank You Very Much.